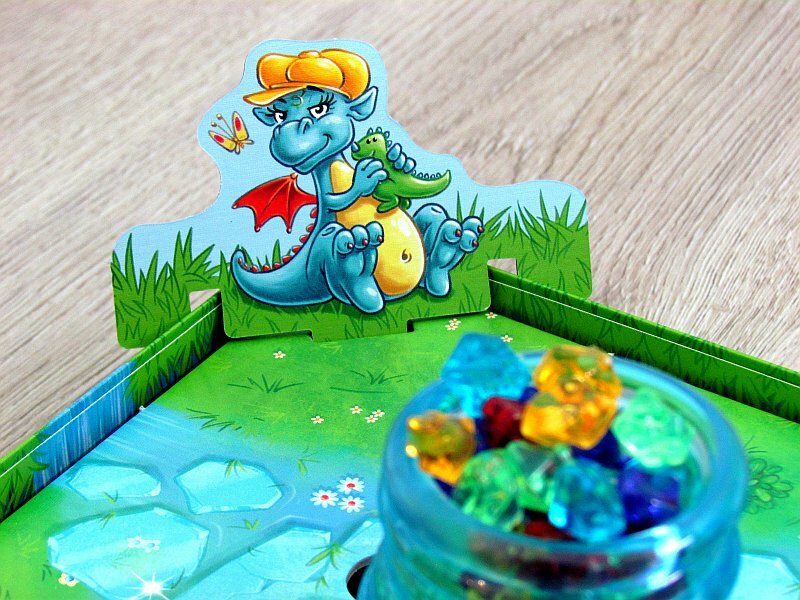 Review: Funkelschatz – those dragon gems AGAIN! Those treasures are within reach. It seems, that all I have to do is to stretch my paw and suddenly, I should be holding a beautiful, shiny, colorful stone in it. They are close, but still so far away. They are trapped in ice. What can I do with it? Well, we are dragons, so we will make it melt! And when it comes to such wealth, then we have to race. 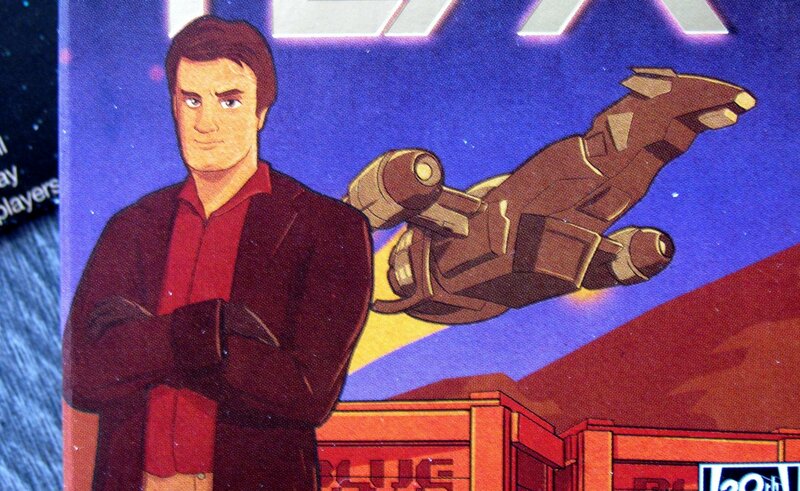 Where he was, there he was, there is a large block of ice and lots of precious stones in it. 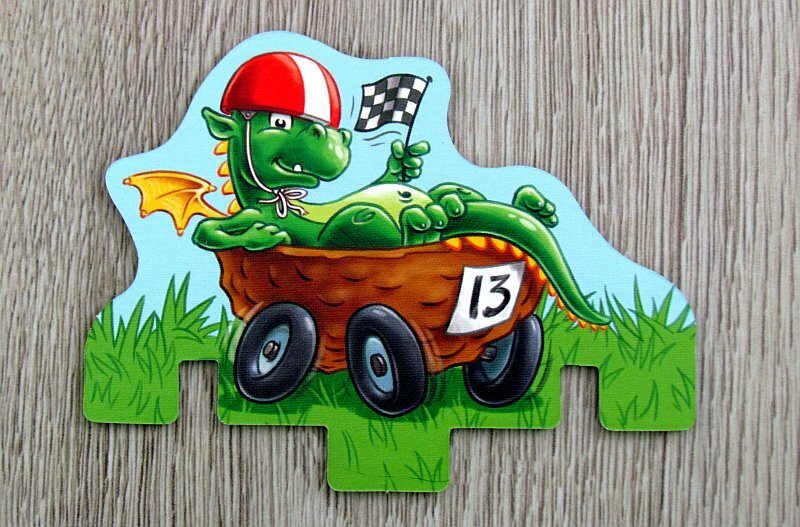 It was created by Lena & Günter Burkhardt and HABA publishing house. 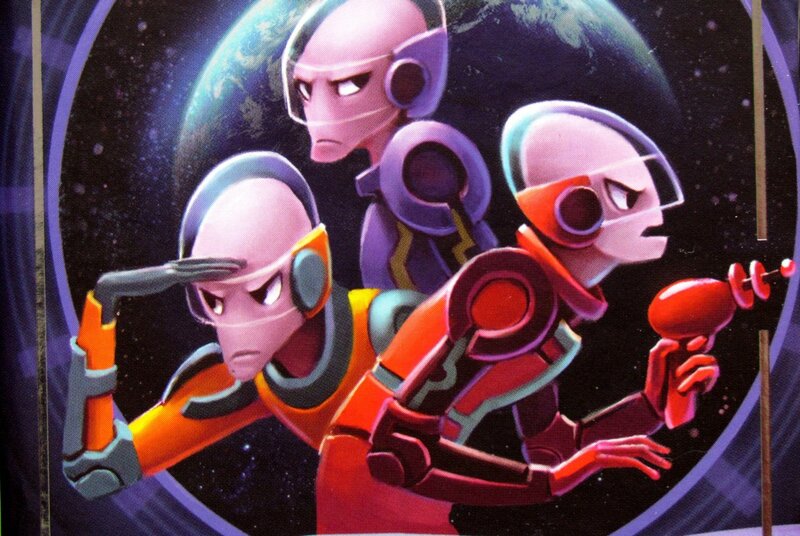 Game called Funkelschatz was released at the end of 2017 with illustrations by Daniel Döbner. 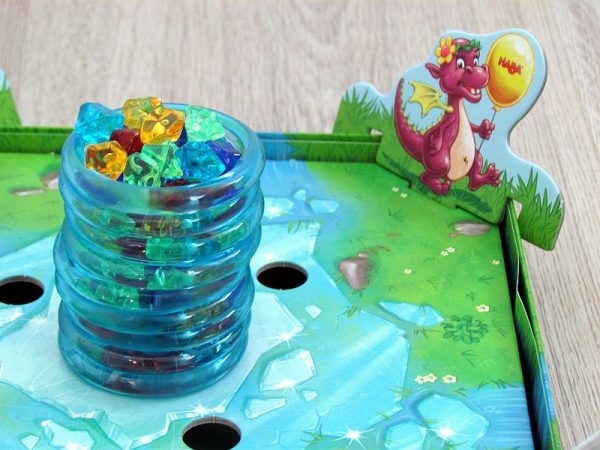 Dragons swarm in glittering gems on the lid of a small yellow box. And under it, players find interesting content. 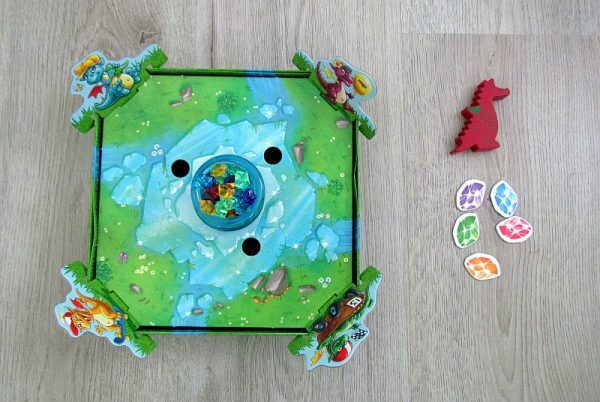 There is a game board and four cardboard plates with portraits of little dragons. 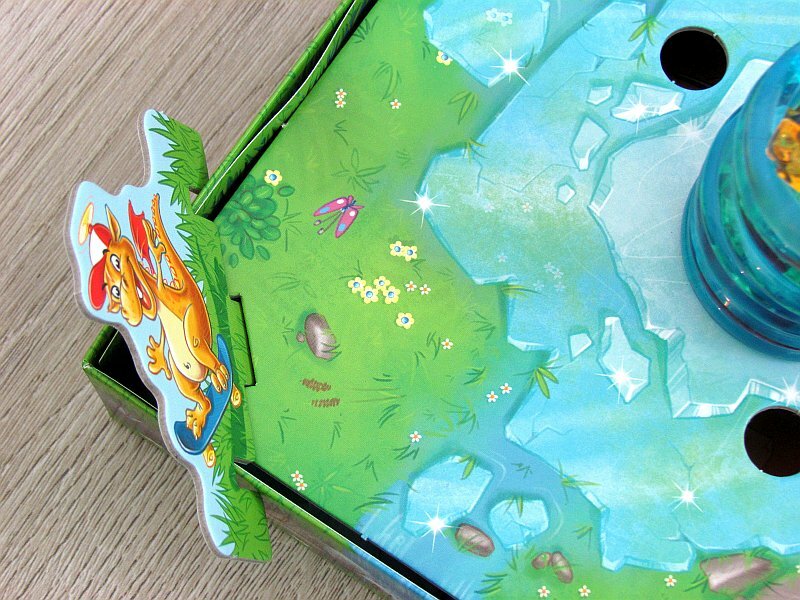 But before players start examining them, they must first use cardboard strips at the bottom of the box and split the box into the compartments. This will provide support for a simple layout of game map. All other components must be taken out. Each player picks up one dragon and uses the slots below to slip his character into one of corners on the board. 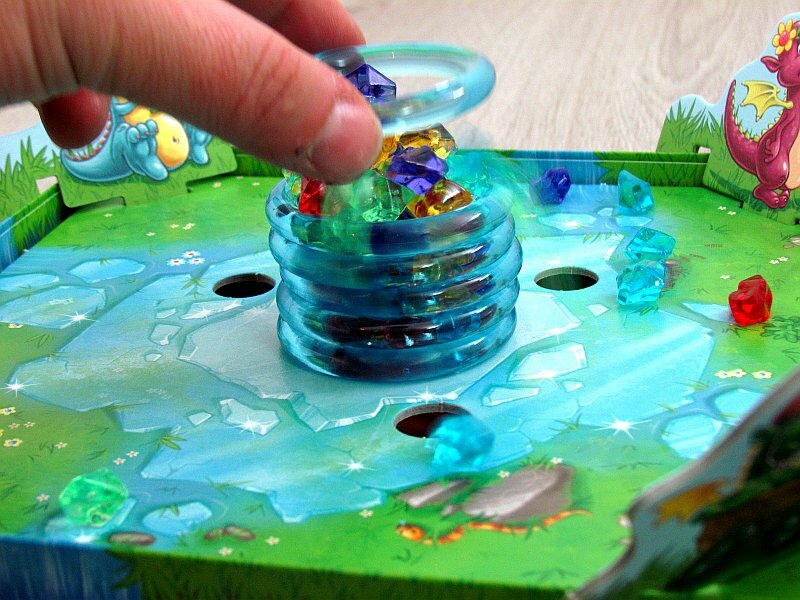 In the middle of the board, there is space for round cardboard piece of ice – players create a pyramid of blue ice rings on it and fill it up to the brim with colored diamonds. Dragon daddy and gemstone tokens should be lying nearby for now. And while dragon children in our introductory story are planning to dissolve the ice by themselves, they need the help of their father in the game. Active player is in charge of breathing fire and dissolve ice and therefore takes a dragon dad figure. Each player then chooses one color pad to determine, which stones he is interested in that particular round. It should be gems, that are most likely to drop off. Then the active player in the role of the dragon has the right to lift and remove one ice ring from the pyramid in the middle. 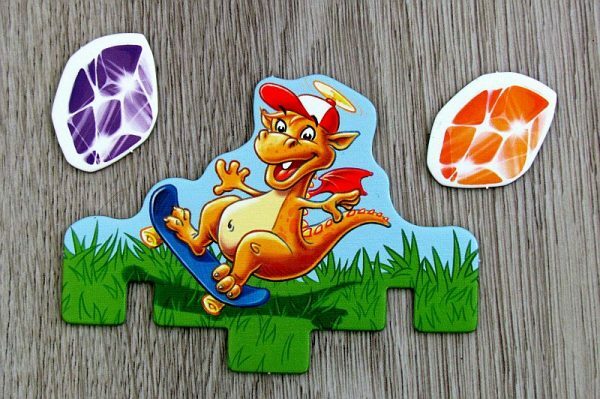 This means that a couple of colored stones falls out of their jail and land on a joint game board. But there are several small openings, where gems can also fall. 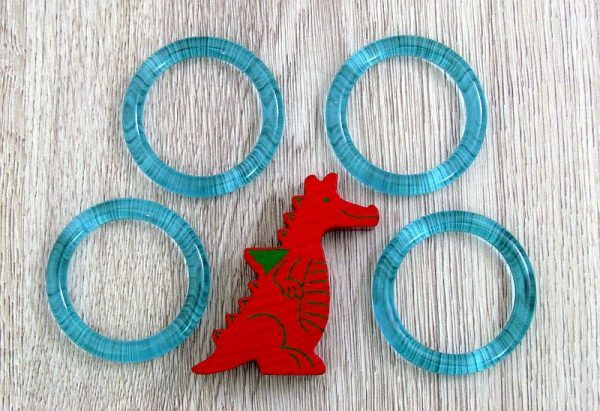 These are not available for little dragons, but they will remain as their father’s reward for providing his fiery breath. All other stones, that have fallen and are still lying on the board are available to players. 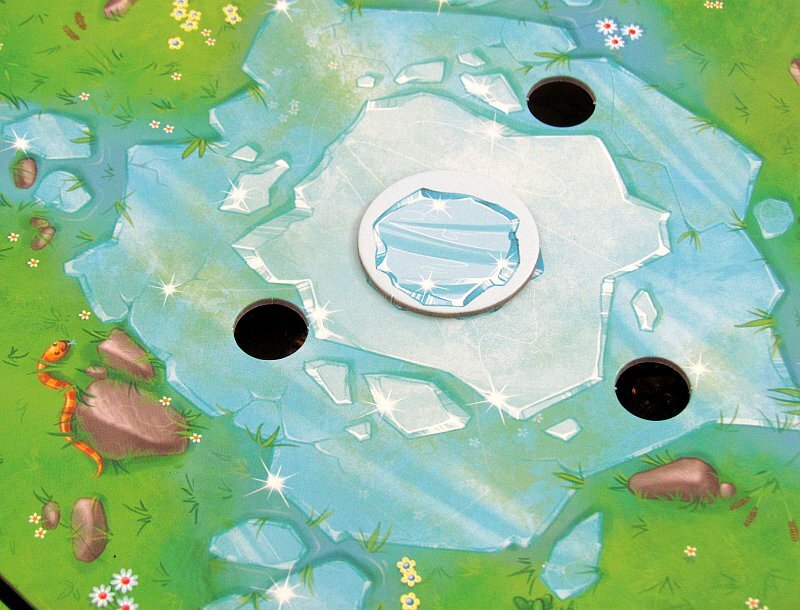 However, player will only receive stones, that match tile selected at the beginning of the round. These can be immediately picked up by that players and poured into hiding place behind their dragon. All the other stones, that nobody has gotten hold of are swiped into free holes in the board for the father. 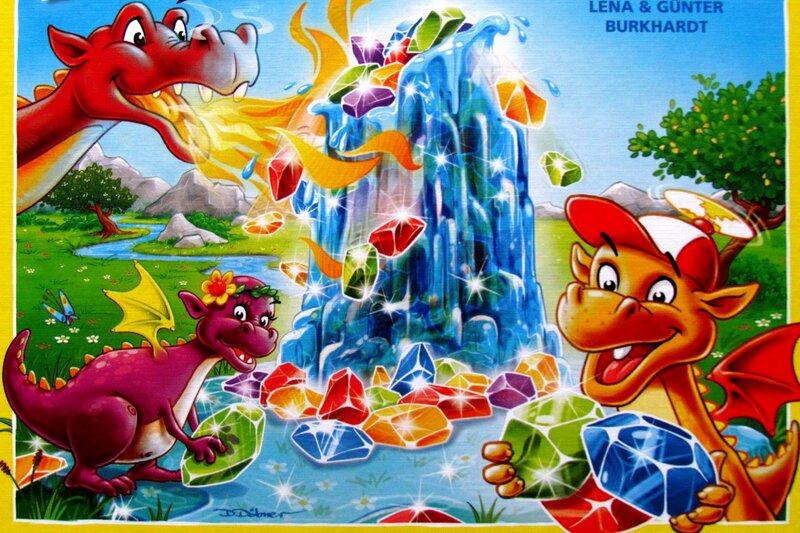 As soon as the last ice ring is removed from the board, the remaining stones are swept away and fortune of all dragons are revealed. Now the winner must be determined. All rivals will now count precious stones. Winner will be the one, who has captured most of the diamonds. 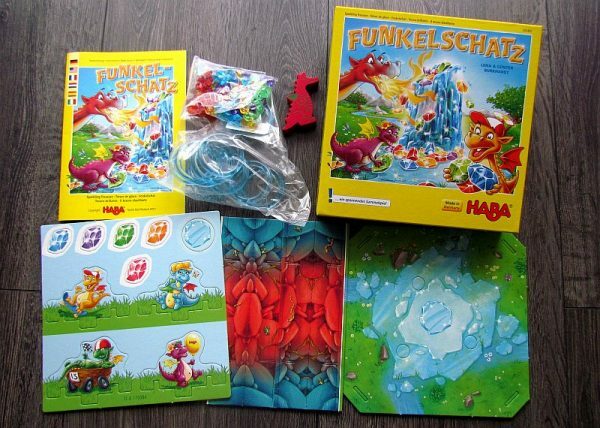 Funkelschatz is another game for preschoolers. 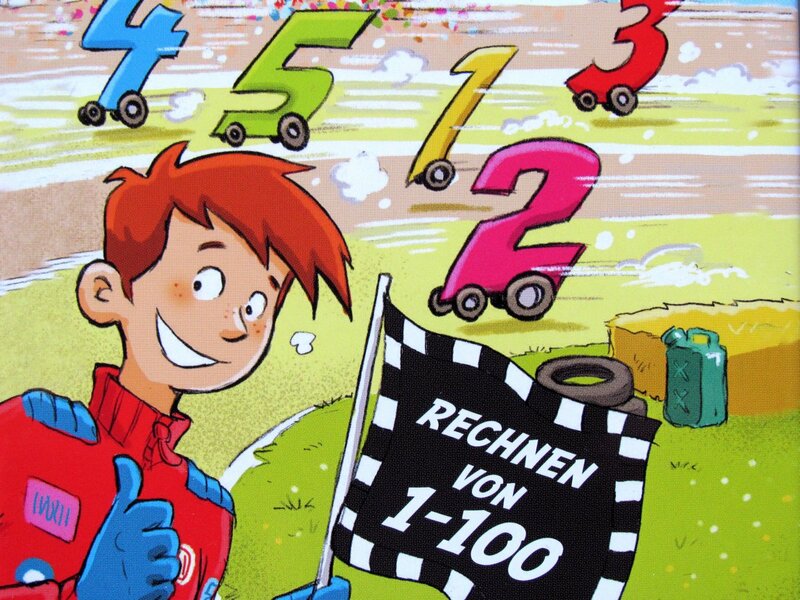 Its task is to help small children with training of counting, but above all the estimation. Trained eye can usually guess, which stones will fall off, when ice ring is removed. That’s what the kids must learn, if they want to win. Fortunately, these mechanisms mean, that they can also succeed against older rivals. Sometimes, however, the current player may affect this outcome – he chooses the color as the last one, so he should adapt. If player raises the ring carefully, less gems will fall. 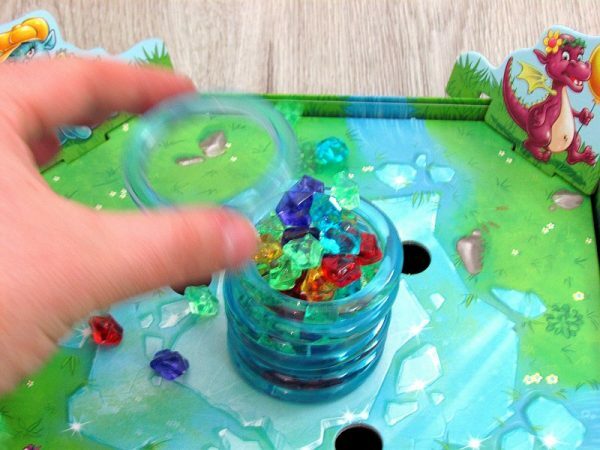 He can even prepare the situation for the next round, when he will have a better position for picking a color and thus a chance to get more stones for his cave. All collecting is firstly influenced by luck. Some of the diamonds may fall into the openings, that lead into the cave. These stones are irretrievably lost to children. Sometimes, players even get surprised and do not pick up any stones in their turn. It needs a bit of luck and a good eye to get some. And where is the counting? 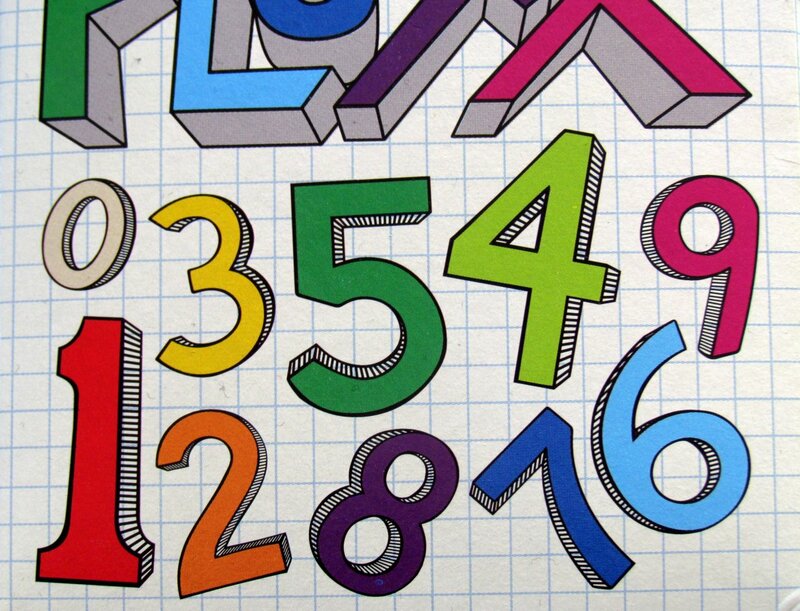 You need it all the time, when determining values of each color in every round. And then, especially at the end of the game, when children add up their full prey. 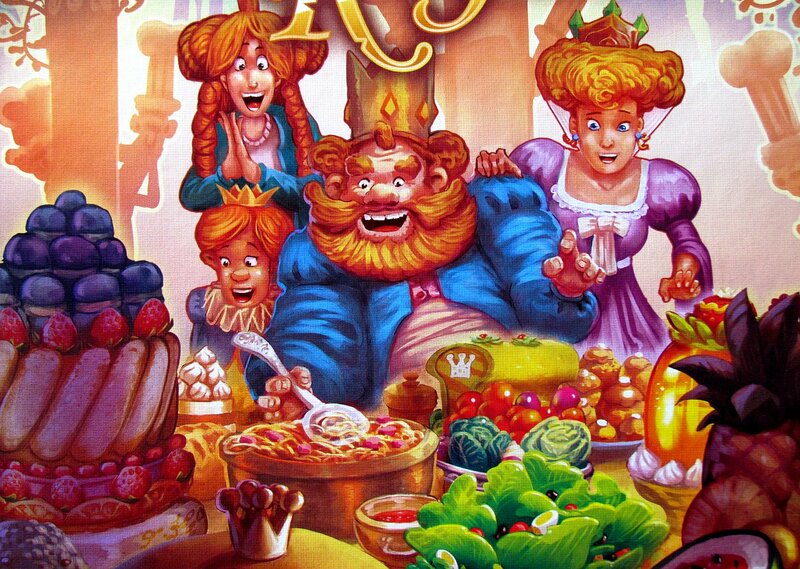 The rules also offer a sophisticated adjustment for final evaluation – players can sort stones in parallel rows and the longest row owner is the winner. The game is, in the first place, very simple in rules. Choose a color, pick up a ring, pick up stones. That’s actually all that’s happening in the game. But thanks to fantastic processing and rapid progress, it will seem like a real treasure to the children. Funkelschatz just goes in the footsteps of other gorgeous-looking HABA games. 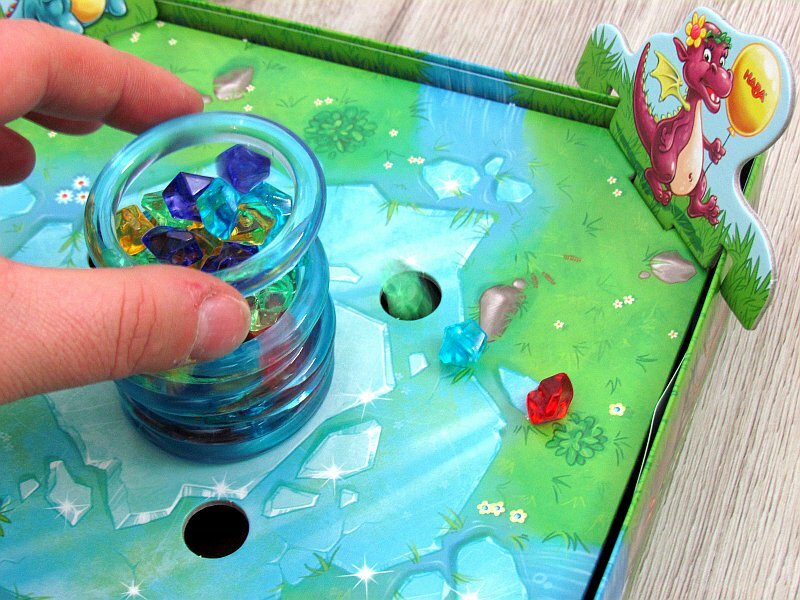 The game takes ten to fifteen minutes, as you only need to remove nine ice rings to finish. And if there are more children in play, it means a better chance of getting gems. But the overall impression does not have any significant effect. Funkelschatz is a wonderful kid game. It is dominated by the very original principle of scattered stones. And, by its looks and simplicity, it quickly and without any difficulty is one of the favorite games of every little child. Funkelschatz is a little diamond of its own.